Your gift matters to so many. With your support, you have helped transform GFS into a statewide leader for the arts, known for its 42-acre sculpture park and major exhibitions that push the boundaries of contemporary sculpture. Your continued support is integral as we begin our journey into the next 25 years. GFS must fundraise entirely for our arts programs. 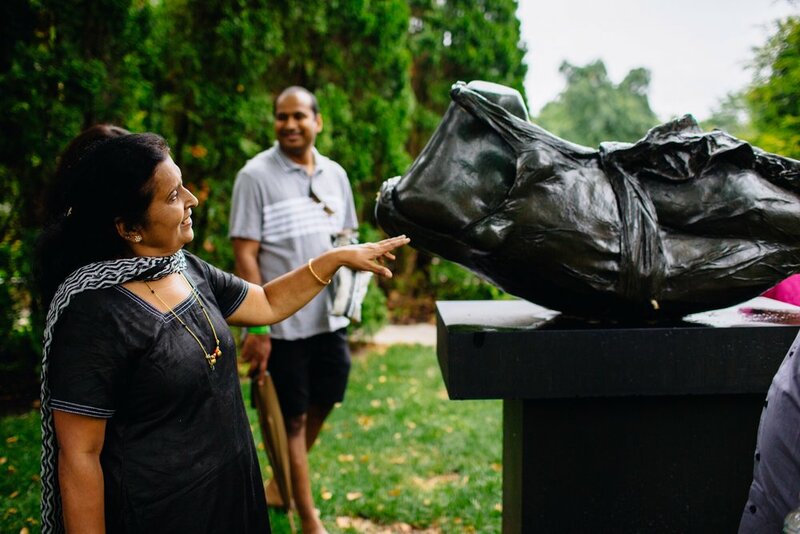 Every donation made to Grounds For Sculpture, no matter how small, makes a positive difference in the amount of people we can reach and the ongoing sustainability of the programs. Our community collaborations serve tens of thousands of students, seniors, differently abled individuals, and disadvantaged families and are made possible by your generous support. Your fully tax-deductible Annual Fund Gift will help GFS realize its mission of combining art and beckoning spaces to welcome, surprise and engage all visitors in the artist’s act of invention. You can make a gift In Memory or In Honor of someone special. Please call us at (609) 249-0233 or (609) 249-0244 with any questions.